Whether you are just getting started in your creative journey or are a seasoned professional, mentoring can help kickstart you on the right path, or spark some fresh ideas for you to infuse into your business. Erin received her degree in Business Marketing from UNCW and has utilized her background in business to implement strategic practices that have grown her photography business to the profitable brand it is today. Being a full time working photographer, she has learned a lot of best practices and some not so great practices along the way that she is more than happy to share. She has been fortunate enough to have been mentored by some of the top creatives in the photography industry and fully believes in the power of continued education and mentorship. Mentorship is available in person at the studio, or remotely via Skype or telephone. Rates start at $75/hr and are discounted when multiple hours are pre-purchased together. Mentoring topics can be anything from business and marketing, to camera functions, lighting, posing, or even your favorite CrossFit workout. 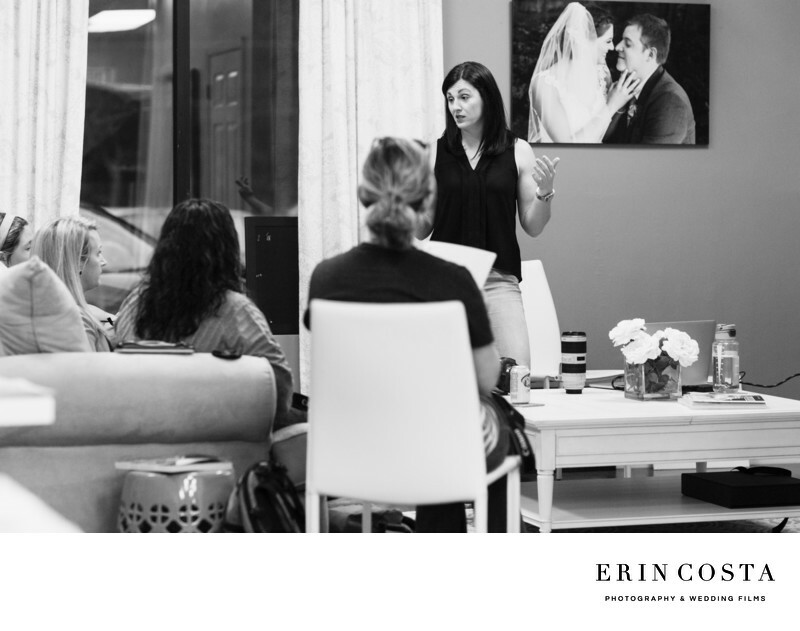 For more information or to schedule your session, email studio@erincostaphoto.com. Stay in the loop! Sign up for our newsletter and be the first to know about upcoming classes and events!